In case you have watched the Spectre film last 2015, you surely can’t have missed the dirty martini that 007 had in one of the scenes. 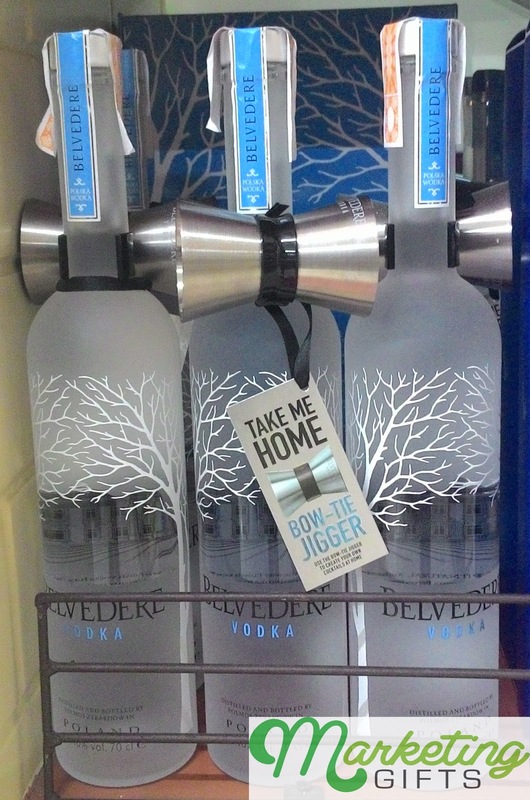 The liquor used for this is from Belvedere Vodka, a Polish brand that is celebrated as “the world’s original luxury vodka”. In the Philippines, Belvedere products have a free jigger attached to the bottle’s neck as a gift with purchase, to make the process for cocktail-making easier at home. More Sales. Jiggers are popular to avid fans of alcoholic beverages, because they are the key to creating liquid masterpieces. Having one within arm’s reach means that they do not have to go to bar and pay a lot of money to appease their thirst, and so Belvedere can gather more sales. Eye-Catching Brand Placement. White over silver is the color scheme of the free jigger, and the brand name is placed at the mouth of one side of the item. This is very eye-catching and classy. Larger Brand Awareness. The idea is that the more time people use the gift with purchase, the more it will be remembered and stuck in their head. Therefore, when they buy liquor again, the name of this brand will be the first one that enters the mind. Other promotional ideas that you can utilize to promote your brand can be found at Marketing Gifts blog.